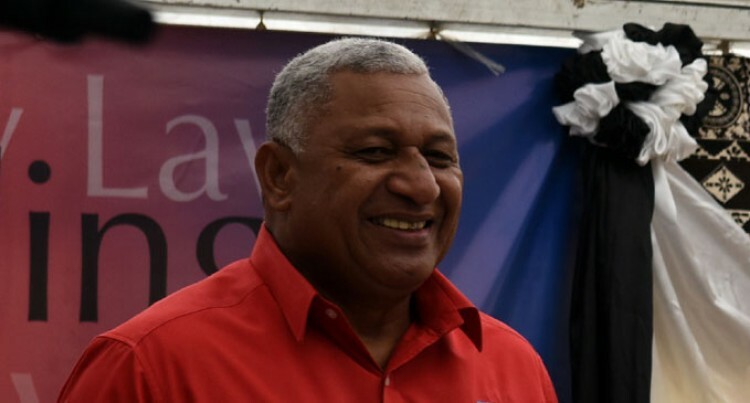 The Prime Minister Voreqe Bainimarama took time out to visit the Retired Soldiers and Ex-Servicemen’s Association (RSESA) in Nausori yesterday. The visit was not part of his official business in Nausori but he decided to visit after a talanoa session with some retired soldiers during the opening of the Nausori Legal Aid Commission office. Members wanted some help with the purchase of equipment for their office. The RSESA office in Nausori looks after all the retired soldiers living in Tailevu. Their main office is at Walu Bay in Suva. The Prime Minister also walked into the Water Authority of Fiji (WAF) office in Nausori located next to the Legal Aid Commission office. He talked to members of the public and clarified that there was no timeframe for the application for free water.